Is It Legal? Are There Limits? As long as you're not on someone's private property, and you're just picking for your own consumption, you can pick as many berries as you want. There are two risks: picking something poisonous and clashing with other berry lovers—namely, bears. That's why you should make it a point to make calm noises—conversations, a little singing—as you look near bushes, in case a hungry bear is picking his own afternoon snack on the other side. Berry season is late, by Lower 48 standards. While you'll find some berries in July, August is the prime season, and the berries disappear in September. Different berries grow better in different parts of the state, but bottom line there are a lot of berries pretty much all over Alaska. Some hot spots include Chugach State Park, Denali National Park, Denali State Park, even just around Anchorage, such as Sheep Mountain, Flattop Mountain Trail and Rendezvous Peak Trail. For more, here's a list of berry hikes near Anchorage. Blueberries: Pick those with a light grey-blue color. Skip those with any redness. Hold a bunch over your bucket and rub them with your fingers. The good ones will come right off. Raspberries: The deeper the color, the riper they are. If you have to pull hard to pick it, it's not ready. That no-yank picking rule usually applies to these lesser-known berries, too. Cloudberries: Look like a golden raspberry and taste tart—some say it tastes like apricot. Lingonberries (also called low-bush cranberries): Small, red and pretty tart. High-bush cranberries These aren't cranberries, and tend to be sweeter. They're known for a musky smell—but can get confused for the dreaded baneberries. Most people use them for jams. 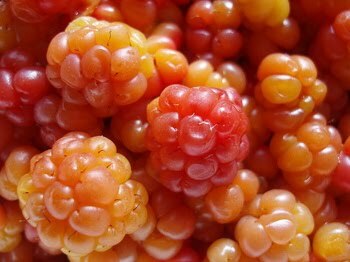 Salmonberries: Can look like yellow, orange or red raspberries; the oranges ones usually taste the best. 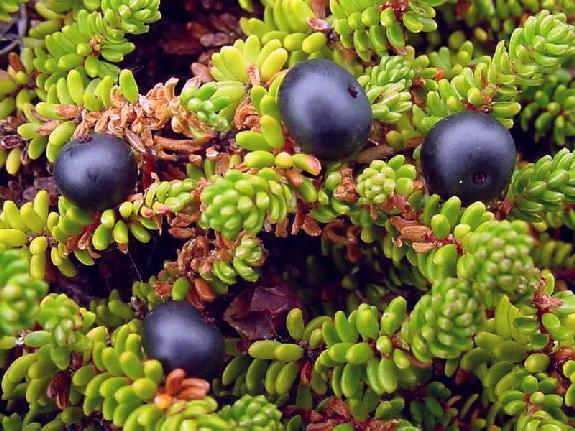 Crowberries: (which look like blueberries but with different leaves); taste pretty blah when raw, so tend to get used for pies. If you're the least bit unsure, show your berries to a park ranger or someone at a local grocery or lodge before eating. Also, consider picking up a book with lots of pictures. 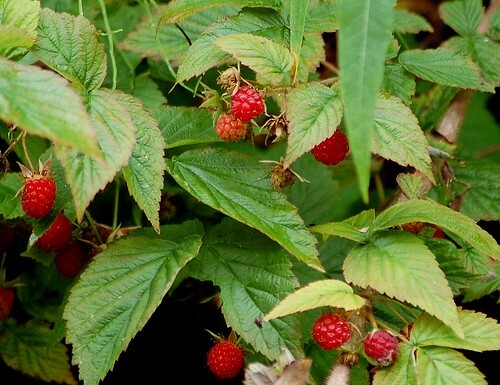 Two good ones: Alaska's Wild Berries and Alaska's Wild Plants.